We all learn early on that life simply doesn’t always go the way we want. Accidents happen, things come up, fortunate and not-so-fortunate surprises catch us off-guard. When life sweeps us up and takes us for a ride, sometimes we have to sacrifice hobbies, leisure time, and creative projects. Guitar players especially know that you can’t always devote the time you want to become the next renowned guitar-slinger. Knowing how to properly prepare your guitar for storage is as necessary as knowing how to run your scales forward and backward. 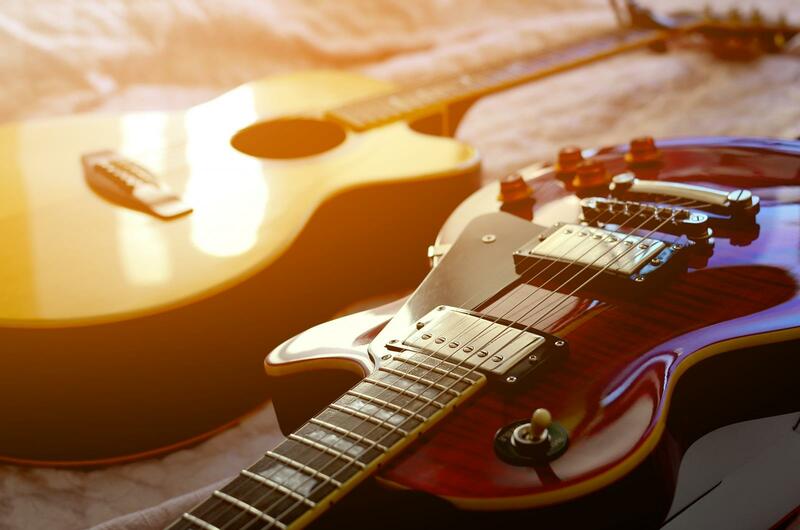 Here, Affordable Family Storage shares tips for preparing and keeping your guitar in self-storage. Even if you wash your hands every time before you play, oils that your skin naturally produces will accumulate on the finish of your guitar, up and down the neck, on the tuning pegs, and on the bridge. While any touring musician knows it’s impossible to keep your instrument completely blemish-free, it is still worth cleaning and polishing your guitar before placing it into self-storage. Polishing cloths and spray-on polishes can be found at any reputable music store, but be careful to check what polishes work best for the finish of your guitar. Not all finishes and polishes are made the same way, and many guitar manufacturers will supply polishes for their brand. While many players love to see their guitars, it is not smart to store your guitar on a wall-mount or a guitar stand. Some guitar stands are made of materials that will interact with the finish of your guitar over time, so it’s best to avoid keeping your instrument on them in the long-term. Wall-mounts that let your guitar hang from the headstock can put undue strain on the neck of your guitar, depending on its construction. Placing your guitar in a hardshell case will keep it from collecting dust, protect it from other stacked items in your self-storage unit that may fall, and it will keep the weight of the guitar evenly distributed over the bottom of the case. By far the most important tip we can offer about keeping your guitar in a self-storage unit is to only store it in a climate-controlled space. Humidity can wreak havoc on your guitar, affecting the finish, the electronics, the hardware of your bridge, and your tuning pegs. For superior self-storage service in Council Bluffs, choose Affordable Family Storage. Our units are temperature-controlled and located in an interior facility, which allows for improved security measures as well. Reserve your unit today!